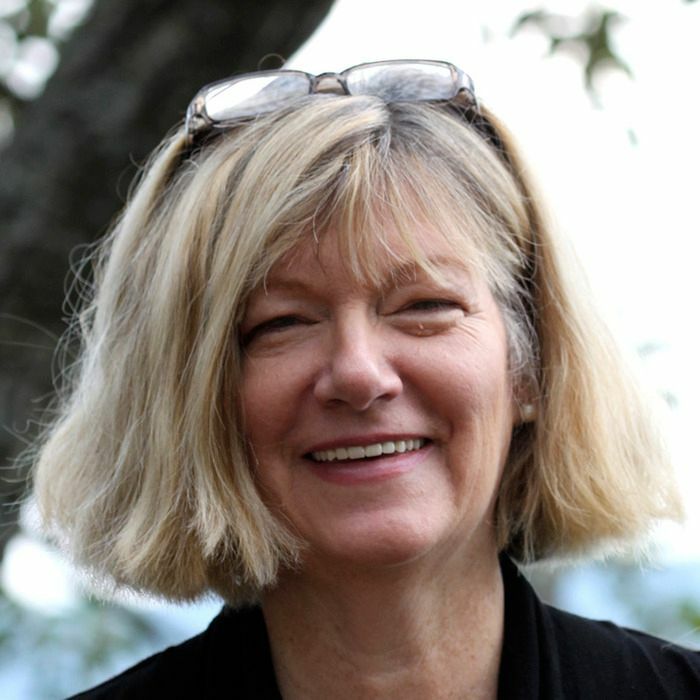 Kanta Bosniak is an author, artist, coach and interfaith minister with over 40 years experience an educator in Spiritual Growth and Guided Meditation. 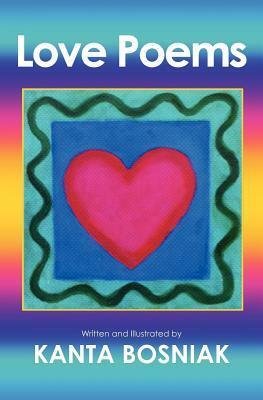 Twin Flames is the third book of sacred love poems by author, artist and minister Rev. Kanta Bosniak. Blending spirituality, sensuality, raw human emotion and spiritual bliss, love for the beloved and the Inner Beloved, the author’s original poems and classic love quotes, all served up with whimsical illustrations, it’s a romantic feast to be savored and shared. It makes a lovely gift for your friends, your sweetheart, wedding party or wedding “thank you,” engaged or anniversary couple. And most of all, as a gift from you to you, as you honor both your spiritual and romantic selves and the delicious interplay between them. I loved the books. A great collection of feel good poems to make each day a little easier. My granddaughter Isa fell in love with the books. She has taken them to school sharing the poems with her class. If you are looking for a great collection of poems to inspire you to have a better day and to make each day count...these books are for you. 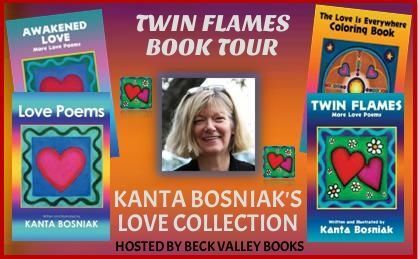 Kanta Bosniak's Love Poems express the joy, zeal, and sense of sacred connection we feel when we are in love with a partner, passionate friend, spouse, or the inner Beloved. The collection is a potent combination of romantic and spiritual love whimsically illustrated by the author. Readers will find in it just the right blend of humor, sweetness and ardor. A perfect little gift for a special occasion, or simply to celebrate the everyday miracle of unruly, surprising love! 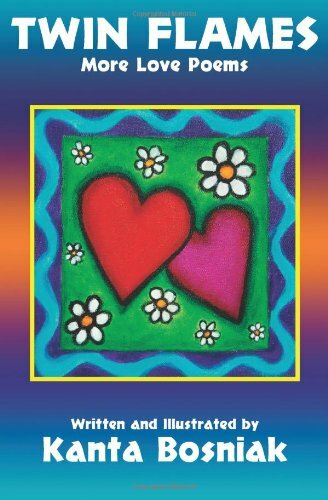 Awakened Love is the second in a series of sacred love poetry by New Thought author, artist and minister Kanta Bosniak. Delightfully illustrated with whimsical, heart-themed drawings and quotes on love, the book imbues spiritual meaning with lightness and a sense of fun. The perfect size to slip in with a wedding gift or slide across the table at that special dinner. As with Bosniak's other print books, you're invited to color in and embellish the illustrations as you desire. A sweet little gift book and rich new source of alternative wedding readings. Nurture your spirit with hands-on creativity that activates inner wisdom and joy! 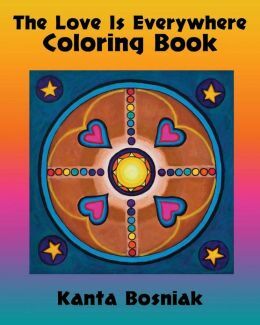 This coloring book for teens and adults includes whimsical illustrations from mind/body/spirit books of author/artist Kanta Bosniak. They invite you to find love inside, out and everywhere and to draw outside the lines! Kanta Bosniak is an author, artist, coach and interfaith minister with over 40 years experience an educator in Spiritual Growth and Guided Meditation. She illustrates her publications with playful drawings and vibrant, color-rich cover art, so that readers and CD listeners can enjoy owning her work. As your personal collection grows, you may be interested to know that you're in good company! Collectors of Kanta's art include a Nobel Prize Winner, an Emmy-winning producer, a popular television actress, several authors, a U.S. National champion athlete and people of all walks of life. Kanta lives in Southwestern Virginia, in the foothills of the Blue Ridge Mountains, where she has a private practice of coaching and Guided Imagery. She is available for appointments both in person and by telephone and Skype. She is a frequent speaker at New Thought churches, universities and Holistic Education centers and conferences throughout the US. 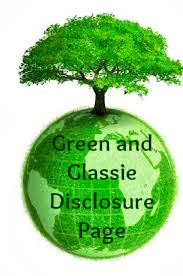 She is listed in Who's Who of American Women. "Pop on over to my Abundance Triggers Website, Facebook, Twitter and Goodread pages"
I just love this book of poems, Glad Isa likes them!